Our mission is to build long-lasting relationships with our clients. With professional and detail oriented service approach, our goal is a problem-free transaction from start to finish be it buying, selling, renting, or managing a property. Our all Seasons Rental Program offers a variety of residences for your enjoyment. We will pair you with the best property for your needs. Serving the Venice Florida Area for over 30 years. Real Estate agents and brokers that work in collaboration with one another, to offer our clients an unmatched level of service. Meet our team below and feel free to use the form on this page to contact us for any reason. I am a transplant from the cold north, who found paradise 17 years ago. With over 20 years in the real estate and banking industry, I can assist you in finding that home, condo, or investment that is suitable for your individual needs. If you are looking to sell or rent your property call me today to take advantage of our all seasonal rentals and our expertise in Real Estate Sales. Olga is a licensed Realtor/Broker Associate specializing in representing customers in the purchase and sale of single-family residences in Venice and surrounding areas. Originally from USSR, she moved to Venice in 1999 falling in love with this “little paradise.” As a former bank employee & office manager of Brand Realty, she has gained the technical expertise to confidently guide you through your real estate transaction with uncompromising honesty and integrity in satisfying her customers with superior quality of service. To beautiful Florida I moved from New Jersey 11 years ago. In New Jersey I was REALTOR® assistant for 20 years.I would like to help you to find this perfect house and move to our paradise, where everything is blooming all year around. I am fluent in polish so if you need help I can there to. We have great Polish community in Sarasota and Venice. Christine was born in Venice Fl. which makes her a 5th generation Native Floridian. She has been a multi-million dollar producer since her first year in Real Estate. Having been on the customers side, as an investor herself, Christine knows what sort of expert service both buyer’s and seller’s want and hope for in a Realtor. Christine cares about each and every transaction. Whether she is representing a client, customer, referral, family or friends. Christine recognizes each transaction is different. Which brings her past clients, customers, referrals their friends and family back to work with her time and time again! With Christine’s integrity, professionalism and great knowledge of the current market, she knows and understands how to evaluate one of your greatest investments. She offers friendly, professional service. Her number one priority is to make your sale or purchase a pleasant, uncomplicated and financially rewarding experience. Christine is involved in the community to mention a few. Christine is a Director of Englewood Helping Hand and a member of Englewood Historical Society. 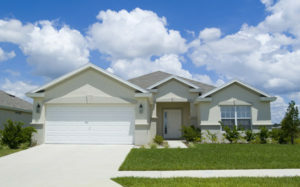 Not many Realtor’s have the experience and knowledge of Florida Real Estate. She is descendant of two pioneer families. The Davids and the Anderson’s who have much history in Sarasota and Charlotte counties. Christine is also recognized not only locally but on National level as an Accredited Buyers Agent. She also specializes in listings, auctions, REO properties, short sales, commercial real estate and rentals. Buying or selling your one stop Realtor is here to help. Use this form to contact our team members, send us your property search criteria, ask a question, or schedule an appointment to view a property. To speak with an associate during regular business hours, please call (941) 480-0601.